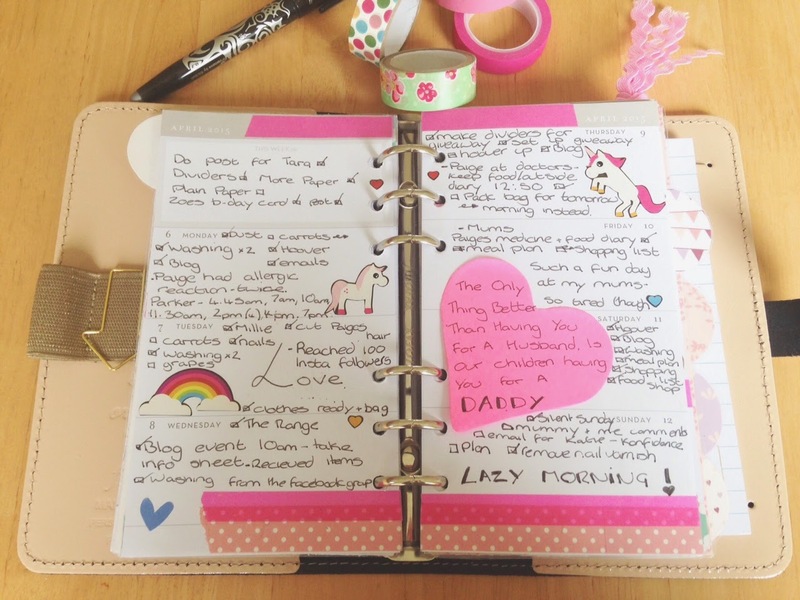 Life Through My Eyes: Life Through My Planner - Why use a planner? Life Through My Planner - Why use a planner? In this day an age it seems strange for someone to want to use a paper planner. There are various apps and online places that you can use to track appointments or make to do lists but those just aren't for me. For me there is nothing better than crossing something off a to do list. I like putting pen to paper and adding decoration if I feel the need. Of course my phone goes everywhere with me but so does my planner. My planner will never run out of battery, I can't smash it, I can change it up if I feel the need, I can switch systems if something isn't working right for me. A planner also helps me because I am a stationery geek. I love having sticky notes and different pens, stickers and Washi tape. I'm getting quite a collection now. So why do I use a planner? Simply to keep me organised. posts on certain days. My planner is basically my whole life written down on paper. A planner can simply be just a place to plan things. There is no need to fill your planner with pretty colourful things, no added bonus of decorating each page but I like it. I enjoy doing it and it keeps me motivated to keep using my planner. Some people like it and some don't. That's fine. Its your planner, your choice. You can use your planner how you wish. Its yours! Everyone's mind works differently so everyone's planner will be a little different. I have an Instagram account especially dedicated to my planner if you want to check it out HERE. I will soon be giving you a little look into my planner and exactly how I use it but if you have any questions please feel free to leave them below. Ahhhhh I love stationery too - popped over and now following your pink_planner_girl account on IG too - soooo much loveliness going on there. Oh I will be looking forward to reading how you use your planner. I love the idea of using one but not sure I actually would. Although, like you, I do like the feeling of crossing something off a to-do list with good old pen and paper! I really like the idea of a planner, but I am really struggling at the minute to find diaries / planners that I like! I need to have another look!